A full-featured Internet browser, Opera includes pop-up blocking, tabbed browsing, integrated searches, and advanced functions like Opera's groundbreaking E-mail program, RSS Newsfeeds and IRC chat. And because we know that our users have different needs, you can customize the look and content of your Opera browser with a few clicks of the mouse. Speed Dial: Your favorite sites are just one click away at all times. Search Shortcuts: Faster search - type your queries directly into the address bar. Trash Can: Instantly reopen recently closed tabs. Mouse Gestures: With Opera you can navigate the Web with your mouse. Opera Link: Synchronize data of your choice online, or among different computers and devices. 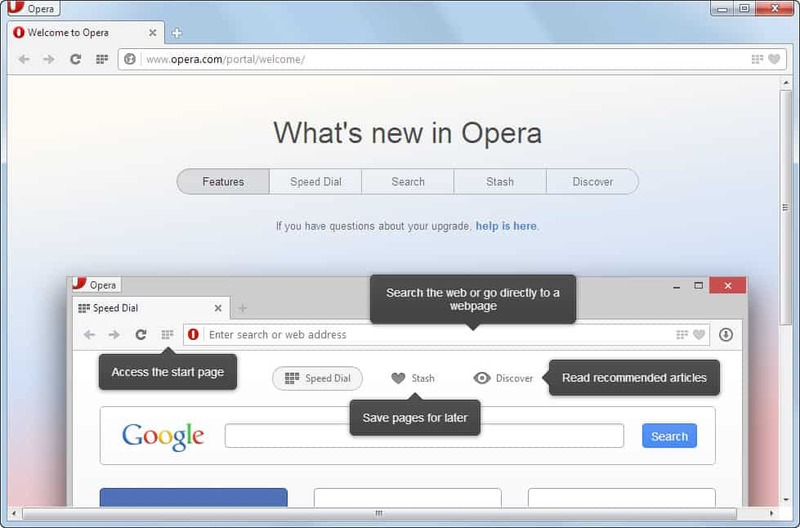 Quick Find: Opera remembers not only the titles and addresses, but also the actual content of the Web pages you visit. Feed Preview: Preview a Feed by clicking on the feed icon, and you will see it in clean and efficient multiple-column layout. Quick and customizable Web search: Get quick access to Google, eBay, Amazon and more with the search field in the upper right corner. GMT+7, 26-4-2019 06:51 , Processed in 0.076867 second(s), 16 queries , Xcache On.